Francis Michael Kucharski, 78 of Tempe, Arizona passed away on January 25, 2019 at Abrazo Scottsdale Campus, Phoenix, Arizona. He was born on January 14, 1941, the son of Joe and Theresa (Smith) Kucharski in Philadelphia, Pennsylvania. 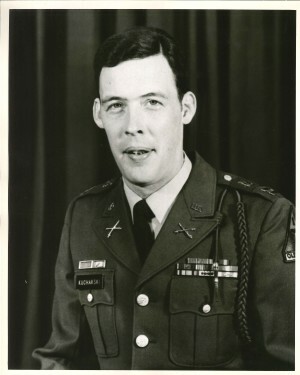 He served his country proudly as a member of the United States Army and retired with the rank of Lieutenant Colonel. He had lived in Arizona for the past 25 years. Graveside services, with full military honors, will be held on Monday, February 4, 2019 at 2:00 pm at the National Memorial Cemetery of Arizona, 23029 North Cave Creek Road, Phoenix, Arizona. Richardson Funeral Home, Tempe, Arizona is compassionately serving the family. In Lieu of flowers, please make a donation to your favorite children's charity.